They came in their hundreds, from far flung UK and Tasmania, from Twizel and Katikati, Auckland and the Waikato, from Wellington and of course from Eketahuna. Cheese makers and mongers, those who wanted to learn and those who were there to taste, the expert, the official and the curious. Two MPs, an ex-Minister, the French Ambassador and a Mayor, they all descended for the Great Eketahuna Cheese Fest. Or as Nick Haddow from Bruny Island Cheese said the Eketahuna Great Cheese Fest because there was some great cheese in the room. And great love and passion and an emerging sense of community and collaboration from our fearless, brave and you’ve got to admit stubborn small and artisan cheese makers. These are a quirky lot, they are doing it despite the barriers, high compliance costs and low margins. I love how the narrative is switching from the struggle and expense to collaboration and community. This was the largest gathering of small cheese makers since the NZ Cheese awards, and you feel the buzz of being together and of forging an identity. You get a sense that they’re doing what the wine industry did, making specialist produce that speaks of a specific time and a place. Building an industry apart from the industrial, learning from the oops and the bugger of mistakes and connecting with consumers, and chefs and tourists. These are our artisan cheesemakers and we should be proud. They are mixing the joy and the delight of the crafted with the resilience and learning of the artisan and throwing in a little magic and mischief. Bravo Cheesemakers! Bring on Eke 2019! And thanks again to the Eketahuna community, they too are a quirky, resilient lot who know how to have fun! Thanks Helen- it was a very cool day. I felt quite honored to hang out with such a talented bunch of people! It was worth the journey! You could write a good column for the DomPost’s Weekend magazine. And I feel strangely proud of Eketahuna, strange because I don’t have an Eketahuna connection at all! Thanks for your kind words. Eke has a great story of resilience and a feisty spirit. Worth feeling proud of! Great summary Lucy. It was an excellent day and history in the making with the MPI taking on a new tune and as you say the conversation changing to collaboration with a bit of mischief and fun thrown in. 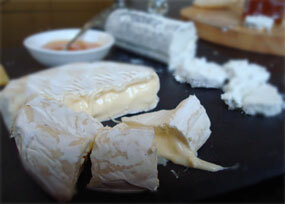 Previous Previous post: Are you coming to The Great Eketahuna Cheese Festival?